If investors aren’t interested in the bikes in dockless bike share systems and they only want to mine the data it’s possible that tech companies will be looking for a quick return on the investment and will possibly go off to feast on another data-rich sector some time soon, leaving an awful lot of share bikes to rot by the roadside. 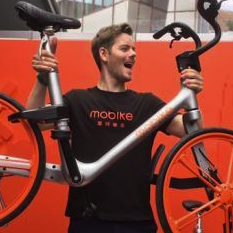 Nevertheless, the report estimates that by the end of 2016, the supply of sharing bicycles had exceeded 3 million and is currently increasing by one million per month. There has been 18 million bicycle sharing users by the end of 2016 and will increase by 200,000 per month in the rest of 2017. Life cycle: is it the end for Britain’s dockless bike schemes? Are cities making the same mistake all over again? Lime retreats from Copenhagen due to the legal pressure.